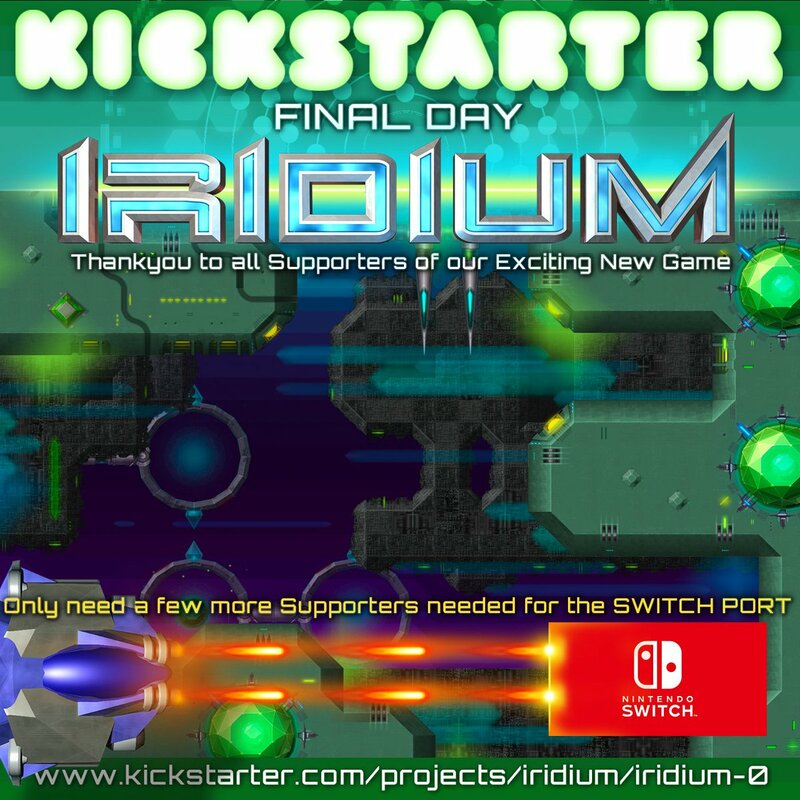 Iridium is primarily a horizontal scrolling shoot em up (due to the size of the levels there is some up and down movement). 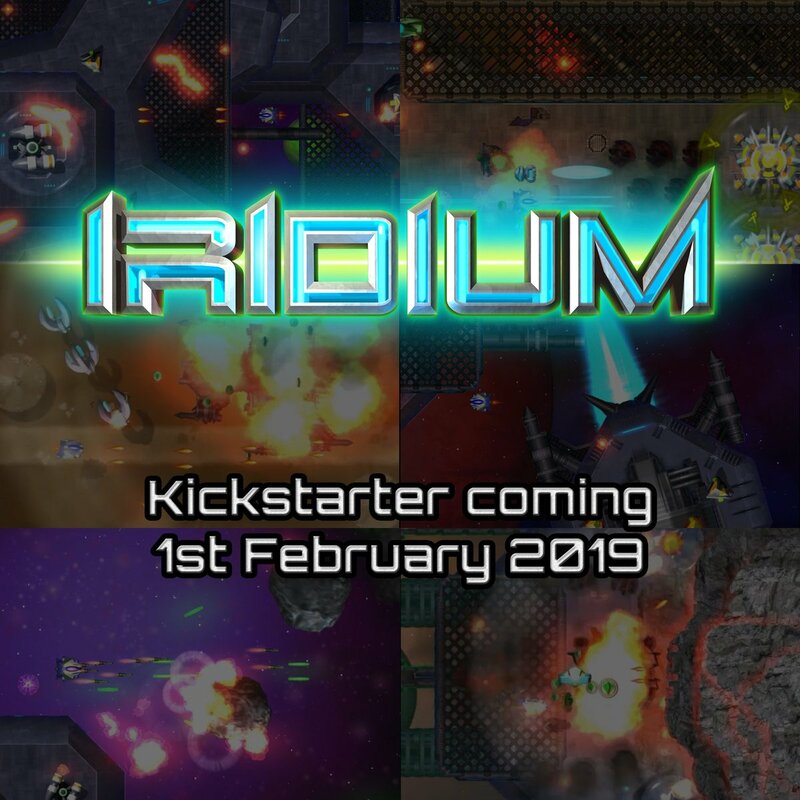 It's loosely based on Uridium but with a generous sprinkling of extras from other great games such as Xenon2 (out rigs / shop) and Nemesis (orbs / lasers). Are there specific objectives in each level or is it mostly destroy all the things? How do you make sure the player knows where to go when you're getting closer and closer to having destroyed everything? I mean, if the aim is to destroy all the things, or specific things, maybe it'd make sense to have some sort of small arrow indicating the nearest target or something of the sort, so that when the level is almost complete, you don't spend a long time looking for that final target. I'm not really one to talk (because I have the same issue in my own game sometimes), but it seems that over the desert sand the bullets can sometimes be a little hard to see. Maybe a darkened outline would help? 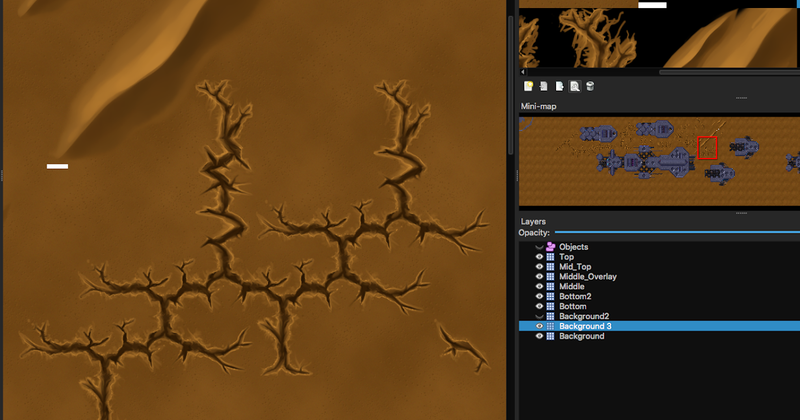 There also seems to be a little seam in the desert tiles? I totally agree that at the minute it's difficult to tell what to destroy. This will be fixed by hi-lighting the objects to destroy with arrows around the edge of the screen showing direction and overlaid over them when on the screen. There will be a lot of variety of objects to destroy also and not just the single reactor currently in use. The radar located at the bottom middle is due to be removed soon as it's distracting and not overly useful. Hey Bastich! I forgot to tell you about posting here Glad you did! I am indeed working on the music for this, which will have to change a lot for the final!
. :[ BLAST OFF AND STRIKE THE EVIL BYDO EMPIRE! ]:. Your right Sai'ka, I will be focusing on more balancing the elements as time goes by. Here is a video of the initial radar replacement system I am trying out. Other than needing a graphics overhaul I think it works quite well as it means you can line up on upcoming targets etc much more easily. Enemy ships, objects and obstacles (when I've added them) show up around the edges of the screen. The more transparent they are the further away they are. When they enter the screen the edge effect disappears. Critical systems (only reactors ATM) on the other had keep the overlaid effect which makes them much more obvious. Updated explosions and NME shots. Modified rockets and missiles to be more spectacular and on s separate button. Colour additive TMX layers added. Updated the radar and critical system overlays. I think looks-wise it improved quite a bit from the last version! Nice. 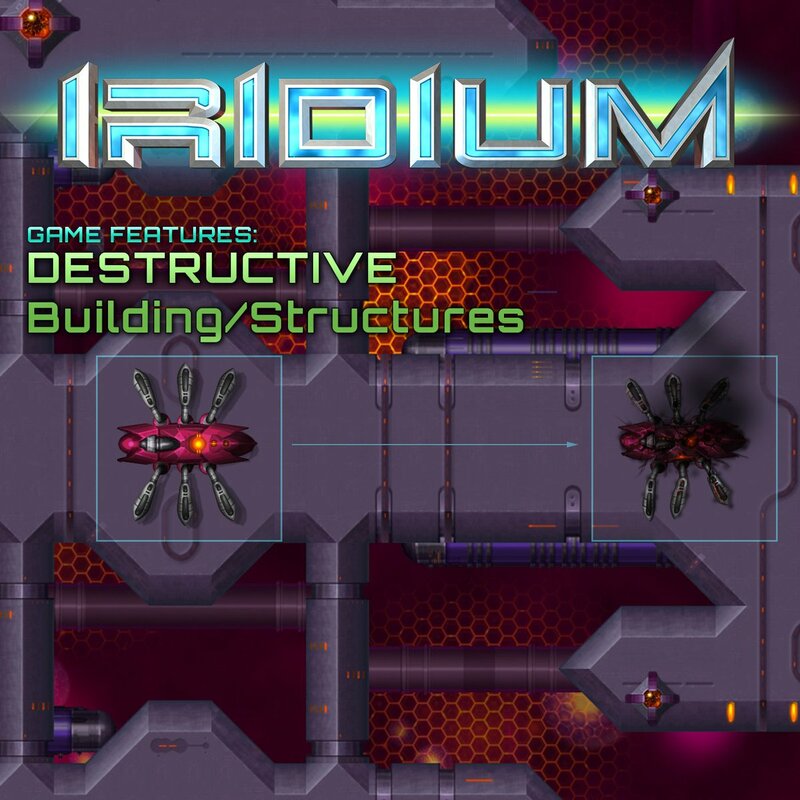 I was literally just thinking the other day that I wish someone would make a new game inspired by Uridium, having recently read Andrew Braybrook's blog: http://uridiumauthor.blogspot.ie/ in excruciating detail. 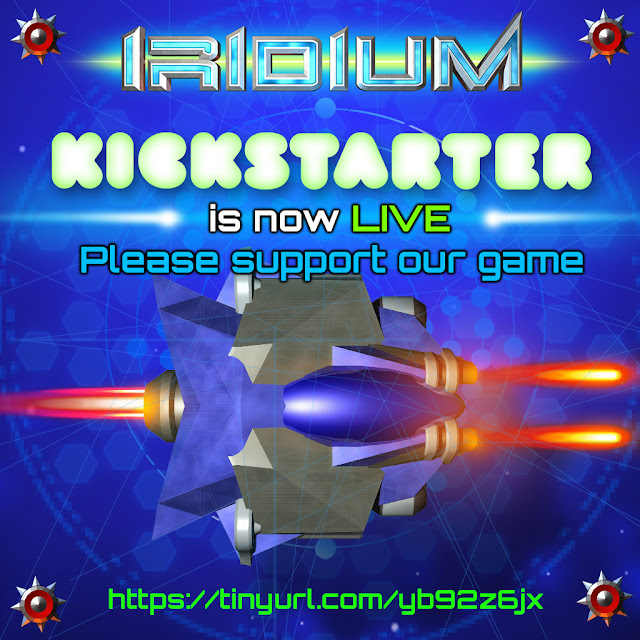 We are very excited to finally have out Iridium game now LIVE on Kickstarter. And we welcome any gameplay-related feedback we can get on this, we have been working hard on tweaking the difficulty and power up system and would love to hear what you think. Oh demo, can't wait to try it! I played the demo and it's pretty darn fun! Recommend others definitely try it. Really happy to hear you like the demo, hope more people try it and give feedback. 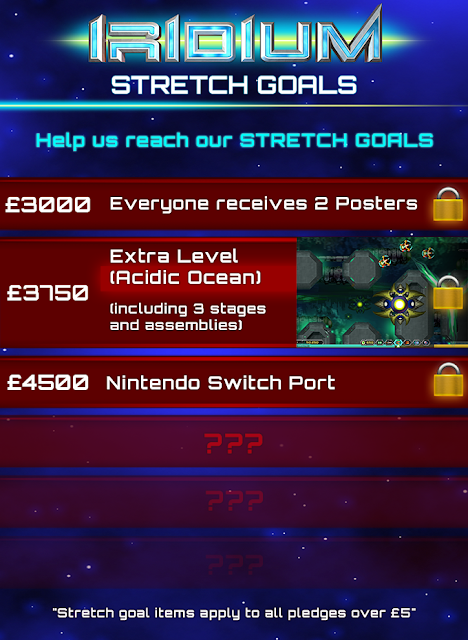 We are hoping to reach some new stretch goals in the campaign one of them is the NintendoSwitch as well as other platforms. Would be very interested to know what other systems people think we should port this game to. Having the ability to fly in any direction of the map is a game feature I really love. Only 5 days to go. Last push to get hopefully a few more supporters.